All fields marked with an asterisk (*) are mandatory fields, and must be completed. E-mail: It is important that you provide a functioning e-mail address. Note: Kindly fill all details properly as Certificate will be generated using details provided as under. Prefix * Dr. Prof.. Mr. Miss. 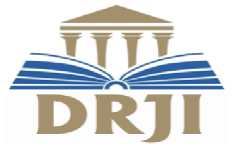 Mrs. Ms.
Who can become a reviewer/Referral for IJNRD? A person who have the degree of Ph.D in the relevant field of engineering OR have the completed Master in Engineering relevant field and have minimum 5 year experience in the same field. In short, anyone who is an expert in the article’s research field. 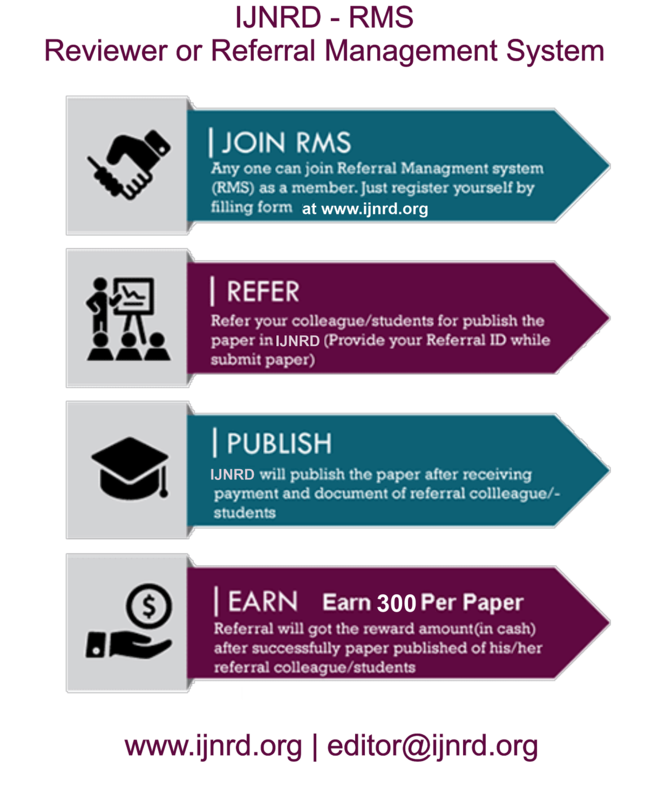 Reviewers/Referral are important to us; IJNRD’s RMS aims to engage reviewers/Referral and reward them for the work they do. Reviewer/Referral get remuneration for the reviewing research article. If reviewer/Referral recommend his/her colleague /students for publish the paper in IJNRD then Reviewer got the discount amount from the IJNRD. Getting involved in the peer review process can be a highly rewarding experience that can also improve your own research and help to further your career. Reviewer/Referral got the certificate from the IJEDR. Advance in your career – peer review is an essential role for researchers. How to become reviewer/Referral for IJNRD? Reviewer will receive notification for submitting the request to IJNRD by provided mail id. Then after we will evaluate your request for reviewer/Referral. If we accept your request then we will send the confirmation mail to you with the login credential details for Reviewer/Referral Management System. In mail you will be got the Reviewer/Referral ID. Then after you can login to our RMSystem for reviewing process and recognition program. How reviewer/Referral got the reward for the work they do from the IJNRD? If you will become reviewer/Referral for IJNRD then reviewer have to recommend his/her colleague /students for publish the paper in IJNRD then Reviewer got the discount amount from the IJNRD. Reviewer have to provide his/her Reviewer ID to colleague/students. So when your recognized colleague/students submit the paper in IJNRD for publishing at that time they have to provide the reviewer ID to IJNRD. If your recognized colleague/student’s paper will publish successfully then IJNRD team add 100 Points in your account as a reward. After your account contain sufficient point, IJNRD will convert the reward points in currency and pay to reviewer. If reviewer/Referral recognize his/her colleague/student for publish the paper in IJNRD then, recognized colleague/student have to complete the entire publication process till the paper publish. After the successfully paper published in IJNRD, reviewer/Referral got the rewards point in account. Reviewer also check the rewards point in RMS account. If a reviewer/Referral has earned enough points to use them, the rewards points will appear as account credit on their account. Reviewer/Referral can redeem the rewards point after the 1000 Rewards points in account.